Salma Khatun: Born and brought up in Birmingham, now studying in Bradford Salma is a 2nd year Clinical Science student who volunteers with Community Aid and the Medical Response team for North England. Able to speak English, Bengali and professional levels of Japanese and German, she is a founding member of Community Aid Bradford with a professional interest in neuro-developmental disorders. Matt Doyle: A 2nd year Peace Studies Student with an interest in creative educational styles, Matt is a community development advocate from Sheffield with a special interest in empowering disabled and vulnerable students in educational processes. Focussed on creativity as well as academic achievement he has worked with the Palestine Academic Link to advocate for access to education within marginalised communities as well as working to establish better links with the emergency services and the community back in Yorkshire. 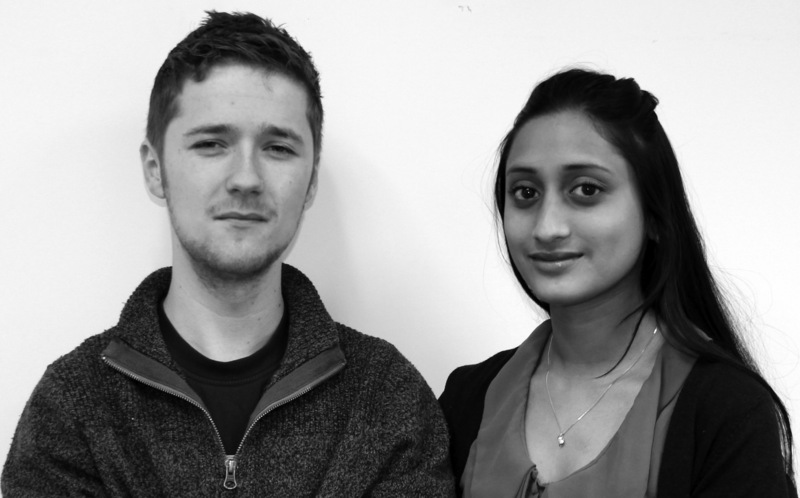 As the founding members of Community Aid, Matt and Salma work to bring about change from the grass roots by delivering awareness training. Having designed their own training content, which embeds creativity and participant led learning at the heart of training, they work to bring about positive change in communities.